There will be a remembrance ceremony on Tuesday, January 15, 2019 at 10:30 am at the Langone Park site on Commercial Street. 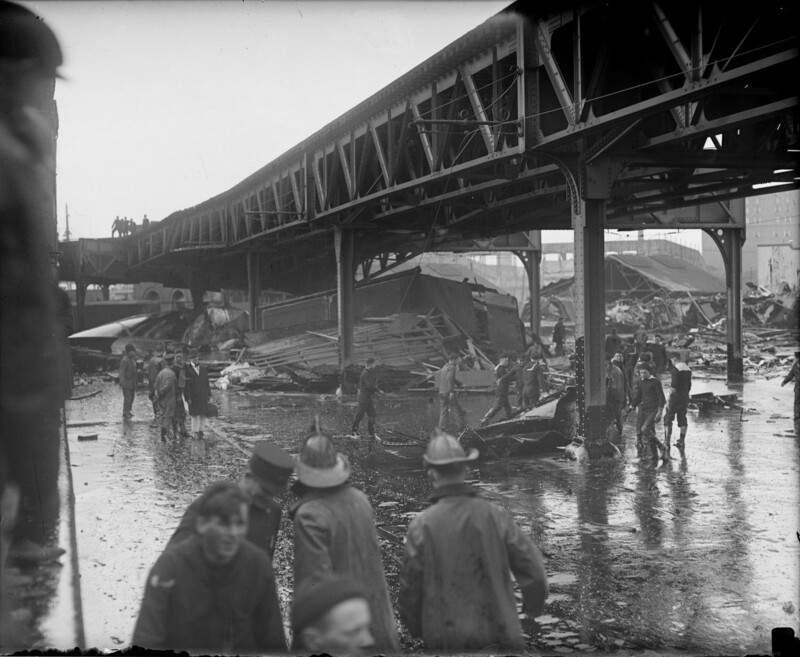 The City’s Archaeologist Joseph Bagley, has arranged to have a ground-penetrating radar survey conducted at the site of the flood. The survey will help him construct a map of the flood and form a human-outline of the area on Tuesday morning. He and other City officials will offer a few words and moment of silence. 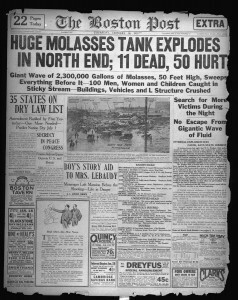 January 15th is the anniversary of the Great Molasses Flood of 1919 in Boston’s North End. 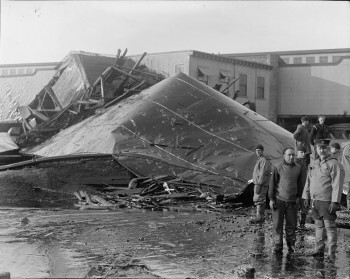 The United States Industrial Alcohol Company constructed a faulty 50 foot high steel tank in 1918 on Commercial Street near where the bocce courts are located today at Langone Park. 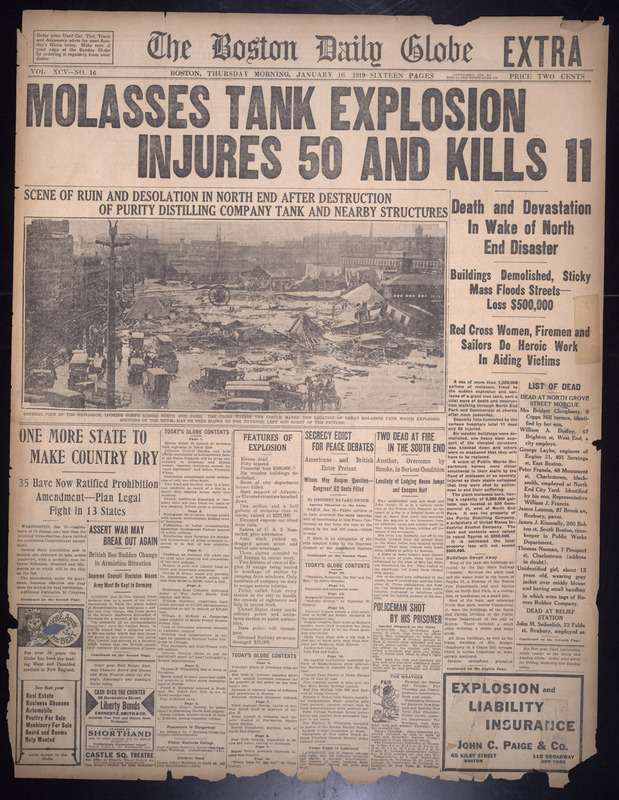 Twenty one people were killed and another 150 injured when the tank ruptured and exploded on January 15, 1919. 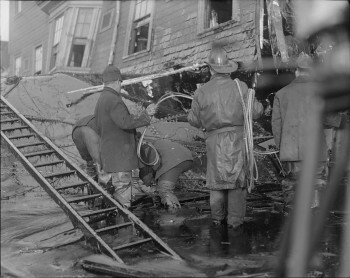 A huge wave of the syrupy brown liquid moved down Commercial Street at a speed of 35 mph over two blocks destroying all in its path. In today’s dollars, the property damage is estimated at over $100 million. 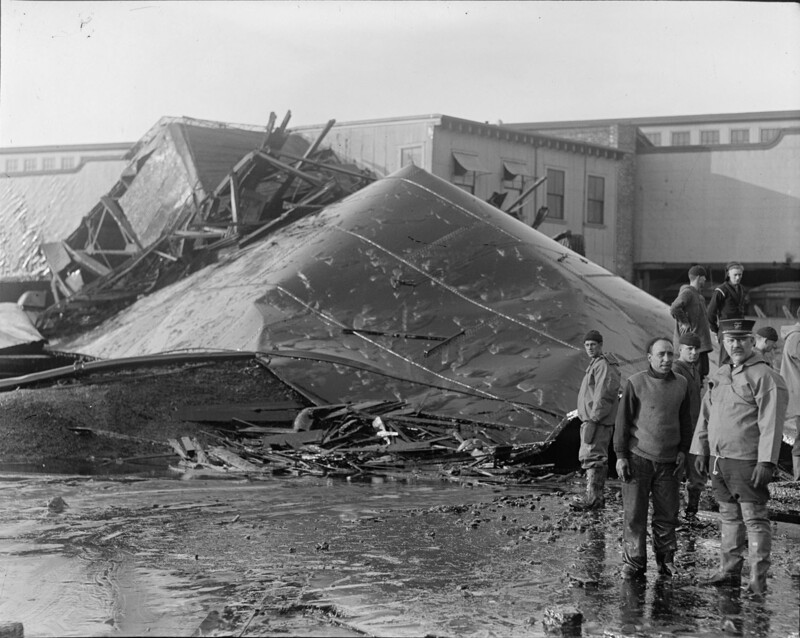 Purity Distilling Company, a subsidiary of U.S. Industrial Alcohol Company, built the tank, 50 feet high and 90 feet wide. 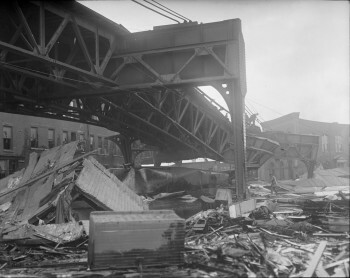 The tragedy in the densely populated, largely Italian-American immigrant North End neighborhood at the time, was initially believed to be the result of a terrorist act. 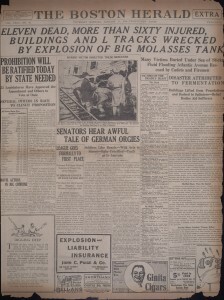 Taking advantage of the anti-Italian sentiment at the time, company attorneys for the tank-owner tried to blame sabotage by political anarchists. The resulting investigation and legal hearings – involving 125 lawsuits – was the longest up until then in the history of the Massachusetts court system. 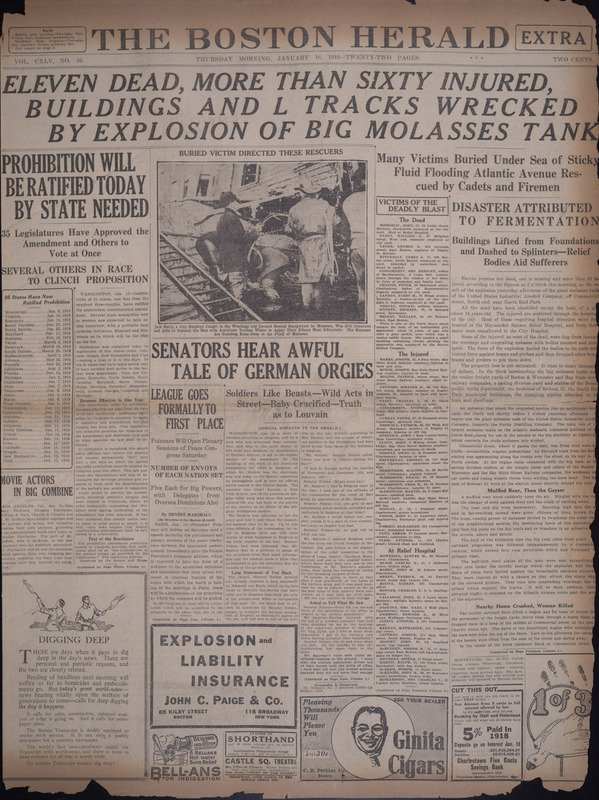 It ended in 1926 with a conclusive judgment: the tank had been improperly designed in the first instance and its failure was due entirely to structural weakness, not to a terrorist attack. 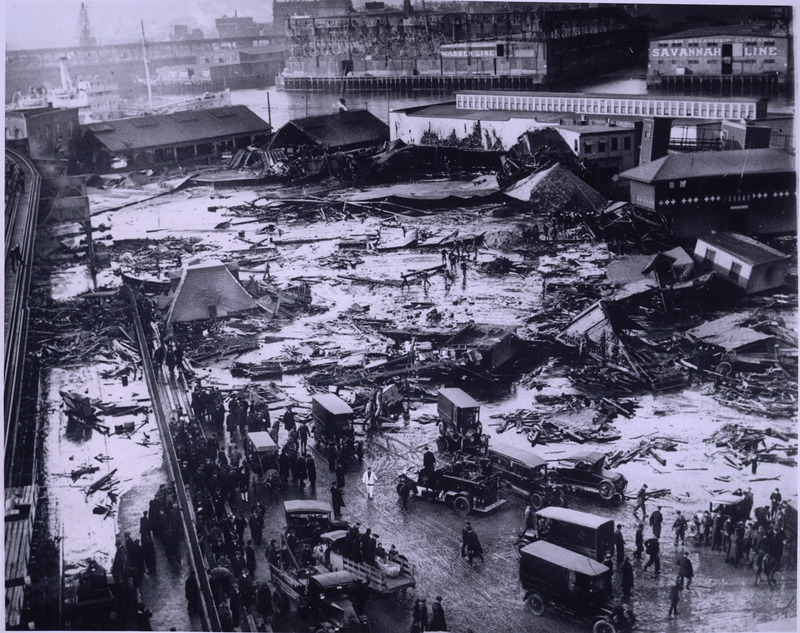 A 2016 research study on the Great Molasses Flood of 1919 in Boston’s North End says that January’s cold weather made the molasses extra deadly. The cooling increased the thickness of the sweet syrup, making it incredibly hard to escape. 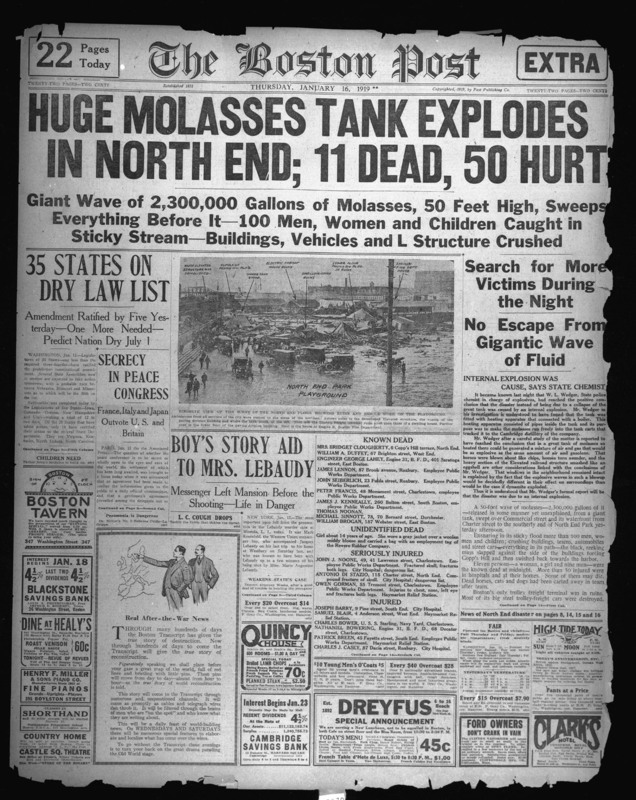 Video: The Great Boston North End Molasses Flood was the subject of “The Folklorist” TV program. 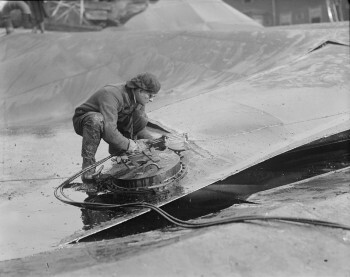 See more at the Boston Public Library’s Flickr gallery. Read the latest research from Scientific American.